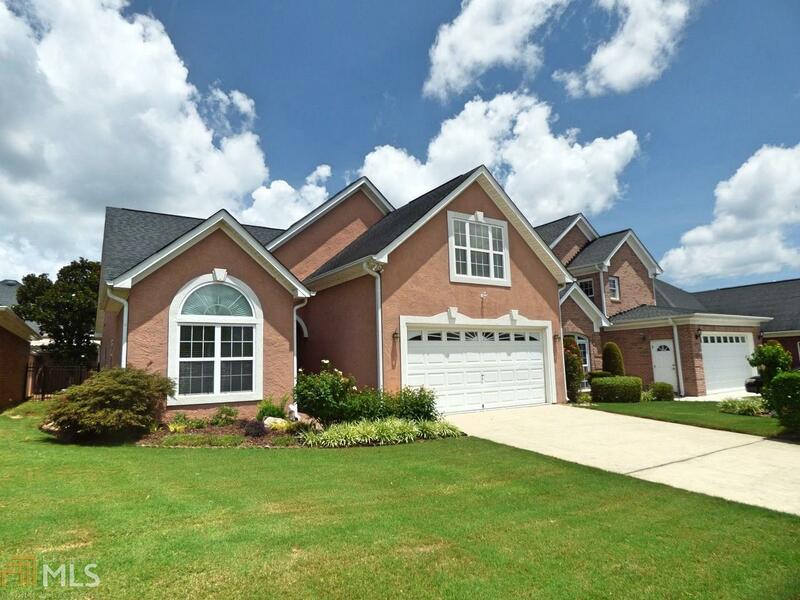 Terrific garden style home in the lovely community of the Villages of Eagle&apos;s Landing. This custom built home has a very open floor plan. Entry foyer opens to very large dining area and great room with fireplace. Spacious master suite with double trey ceiling and adjacent bathroom with dual vanities, separate shower and jetted tub. Additional bedroom on main level and a full bathroom. Kitchen with tons of cabinets and counter space with sunny breakfast area. 2nd level is finished with large bedroom, full bathroom and storage. Courtyard style back yard is is very private. Directions: I-75 South To Exit 224. Left Off Of Interstate To Right Into Villages. Dial 071 From Call Box To Enter.